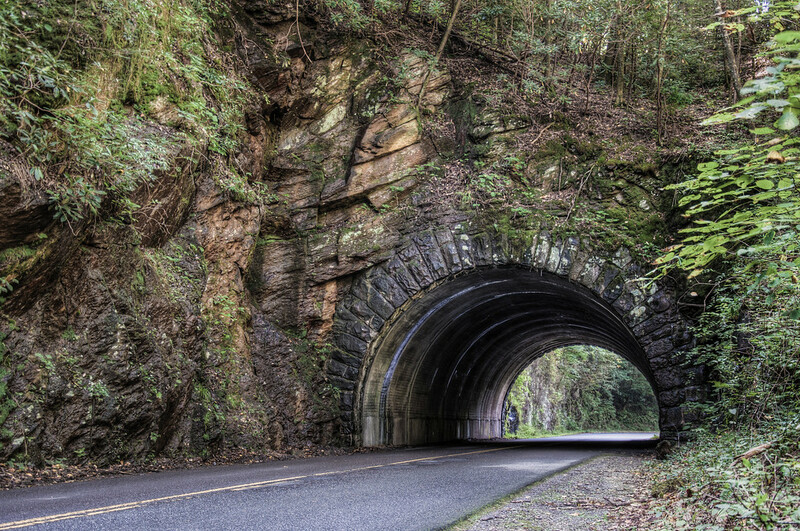 Tunnel in the Smokies | Just Shooting Memories! Further down Laurel Road from the Cascades, you pass through this tunnel. Although it is not right at the entrance to Cades Cove, it’s like traveling through time when you pass through the tunnel. Just after this is the entrance to the valley that is Cades Cove and a protected valley frozen in time for all to see.